Drawing guides can assist you in drawing background and objects that require straight lines, square angles and, more importantly, perspective. In traditional art. This is usually done using rulers, set squares, and vanishing points to draw lines from. Guides are meant to reproduce the usage of such tools in combination with Harmony's drawing tools. 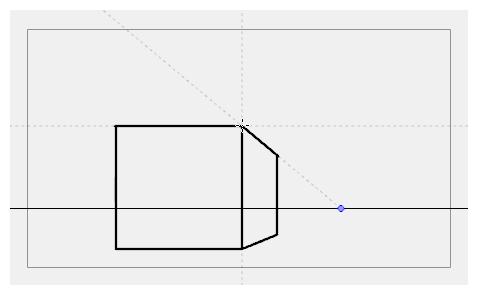 When a guide is in use, it adds a horizon line and vanishing points to your drawing space, which can be moved to fit your scene's needs, and it locks your drawing tools so that they draw straight lines, either going from one of your vanishing points, or parallel to your guide's horizontal or vertical axis. This makes the process of drawing structures with volume and perspective streamlined. 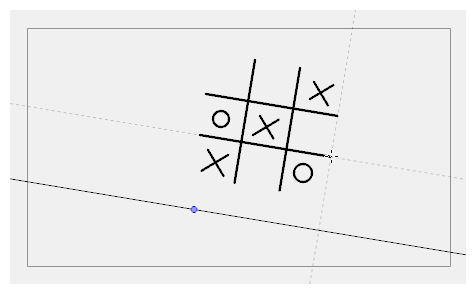 Also, guides display dotted lines going through your mouse cursor going from your vanishing points or parallel to your guide's horizontal and vertical axes to help you visualize the axes your drawing strokes will follow. Before you can use a guide, you must use the Guide view to add the guide you wish to use to your scene's guides list. 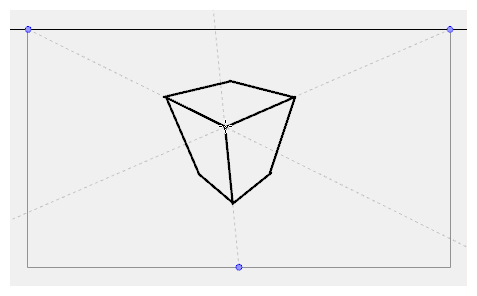 A new guide will have its horizon line and vanishing points in preset positions, which can be adjusted to fit your scene's needs. Using the Guides view, you can add, select, rename, delete, cut, copy, paste and reorder guides as needed. Your guides list can also be exported to a file and re-imported into a different scene. 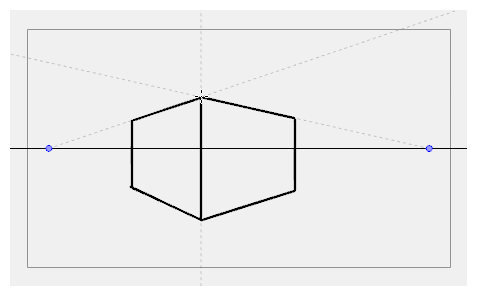 When a guide is selected, you can use it, but you can also adjust its horizon line and vanishing points. NOTEYour guide list and its guides are part of your scene's data. They are saved with your scene. Changes done to your guides list or to a guide can be undone with the Undo command.